The Heritage Lottery Fund (HLF) has funded the design development of the refurbishment of one of Glasgow’s cultural jewels. This will be a comprehensive modernisation since it opened to international acclaim in 1983. The building, which is no longer fit for purpose, has closed a number of galleries due to the danger of damage to objects and paintings posed by water ingress. At present, only some 20 percent of the exceptional Collection, donated to the city of Glasgow by Sir William Burrrell in 1944, is on display. Refurbishment plans aim to allow more than 90 percent of the 9,000-strong Collection to be redisplayed with basement stores open to the public for the first time, and a new central core greatly increasing access to the many artworks. 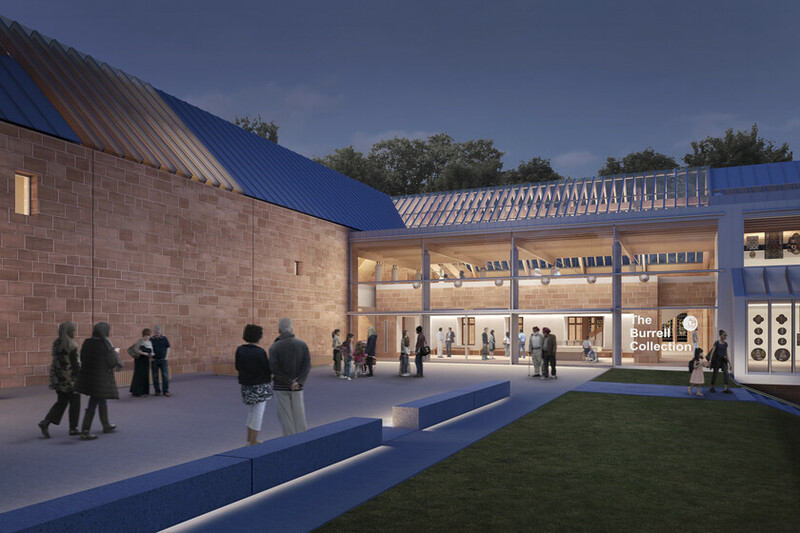 Visitors will also benefit from a new learning space, and improved cafe and retail opportunities, while landscaped terraces will be introduced to link the Museum with its parkland setting, providing a venue for events. Atelier Ten’s fire engineering work involves developing a bespoke fire strategy for the building to allow interconnection of spaces to create unique studio, gallery and social spaces revolving around the large central hub. Given the existing listed nature of the building and its high profile status, ensuring the fire strategy has minimal impact on the design proposals will be key to success of the project. 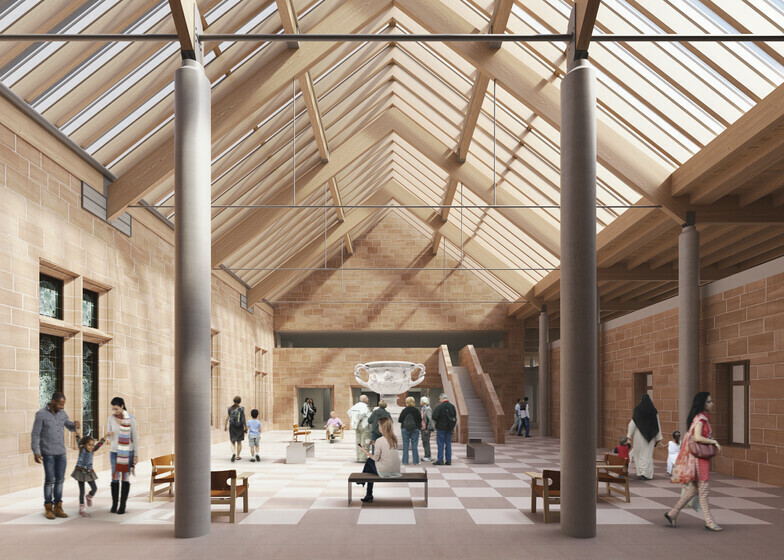 Atelier Ten’s Building Services work will examine opportunities to improve the passive design credentials of the facade of the ‘A’ Listed museum whilst exploring opportunities to make the building thermally more heavyweight.